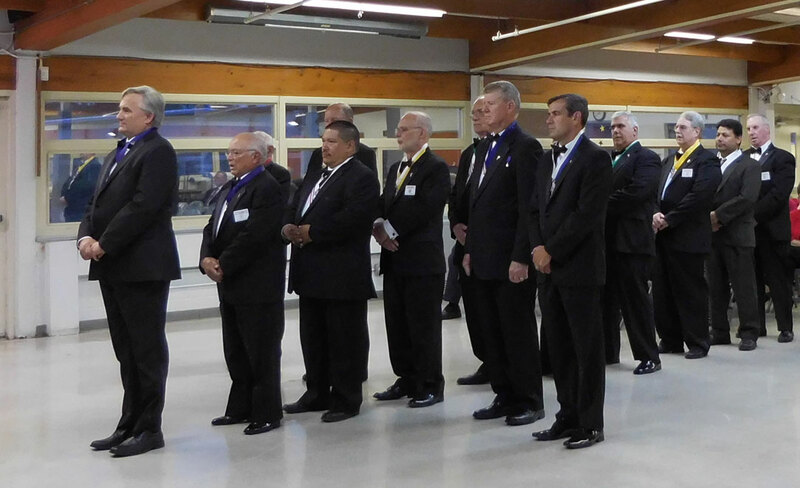 The fiscal Year 2015-16 officers of Mary’s Millennium Council #12801 Knights of Columbus and Ladies Auxiliary were installed at a joint meeting June 17th. Ed Adams, District Deputy, James Posch, District Warden, and Father Gregory Lorens, our Chaplain, all played an important role in these memorable installation ceremonies. Thank you for your time and your continued support of our council. New officers for the Knights are, Bill Henderson , Grand Knight; Frank Esposito, Deputy Grand Knight; Gino Martinez, Chancellor; Ronald Jurcy, Recorder ; Chuck Graziano, Financial Secretary; Michael O’Dowd, Treasurer; Gary Pappin, Advocate; Phillip Roth, Warden; Alex Diaz, Inside Guard; Stanley Kaleta, Outside Guard; Adam Kanyuh , Lecture; John Gurieri , Jerry Dzurovsak, and Loren Becht, Trustees. New officers for the Ladies are Joanne Lorkowski, President; Carol Zaehler, Vice President; Monica O’Neil, Secretary; Florence Graziano, Treasurer; Pat Bitz, Leona Shoemaker, and Shirley Vachon, Trustees. The formal part of the evening ended as it had begun, in prayer. Through the intercession of Mary, Queen of the Knights, and Father Michael McGivney, Founder of the Knights of Columbus, we pray that these new officers will lead us in our mission of service to St. John’s parish and the community at large.